Gold accessories have been dominating our décor for the past year or so. I find that they brighten up our monochrome theme and bring a touch of glamorous to any setting. There have been a few key pieces missing from my gold collection so I was very excited when I stumbled across Cox & Cox recently. You might already be familiar with the homeware brand, after all their products have been featured in many interior magazines, such as Elle Décor and Living Etc. I was totally blown away by their stunning Scandi style furniture and chic accessories. They have really managed to nail everything that I love about interiors - minimalism, function and timeless design. So when Cox & Cox asked me if I'd be interested in collaborating with them, for a minute I thought I might be dreaming. I couldn't have imagined a better brand to work with. As you know, I only write about brands and products that that I'm passionate about and happy to spend my own money on. You could easily spend hours browsing through their online store with one product more beautiful than the other. I think that it's the eclectic look combined with Scandi minimalism that really differentiates them from other brands. Whether it's lighting, furniture, outdoor or kids items you are after, Cox and Cox have it all. Now you probably know how much I love entertaining. 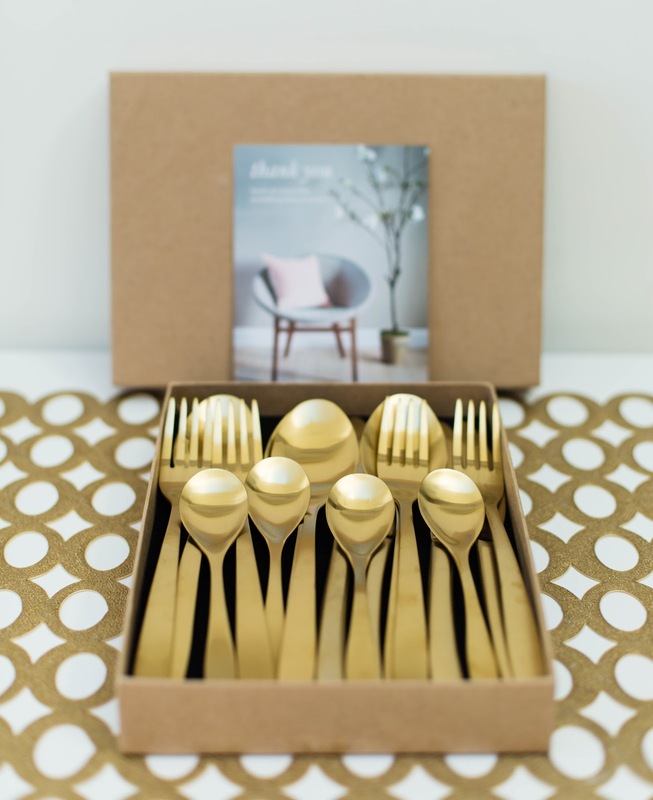 Well, a gold cutlery set has been on my wish list for quite some time and I have been looking for the perfect one to go with my gold themed tablescapes. 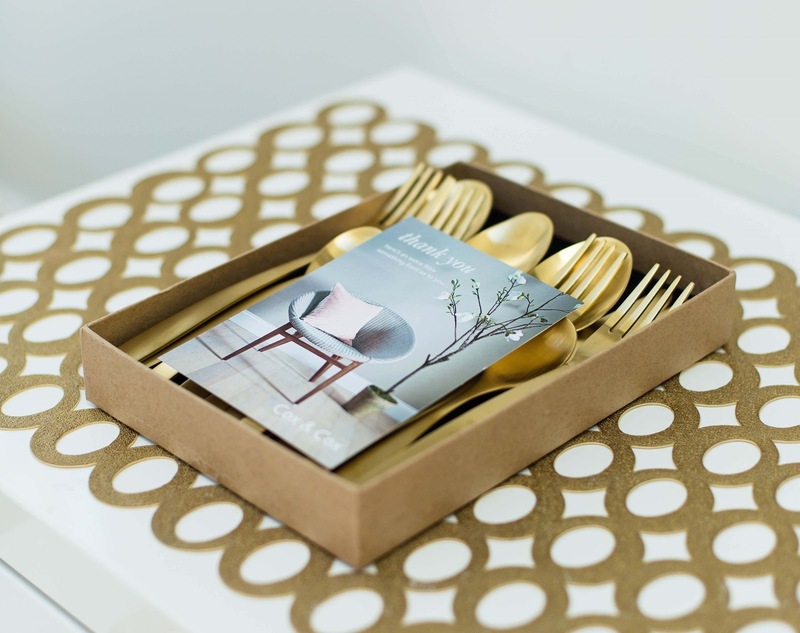 The Aurelia Brushed Gold Cutlery Set was love at first sight. When my new gold cutlery arrived, all I could think was 'wow' - this looks even more beautiful than on the website! The cutlery set is made from high quality stainless steel with a stunning gold brushed finish. My favourite thing is that there are no logos in sight which is quite rare to find. If you are looking for a luxurious statement cutlery that will bring a bit of glamour to your dinner parties, this is the one to go for! It also comes in the most beautiful natural gift box and with the prettiest thank you card you could imagine which just made the whole experience with Cox & Cox feel very special. Needless to say, I feel spoiled every time I use them. It's no secret that I'm addicted to fresh flowers these days. I tend to buy them almost weekly and they always cheer me up no matter how hard my day has been. Even though I have a quite a good selection of vases, I've been looking to add a gold/brass vase to my collection recently. 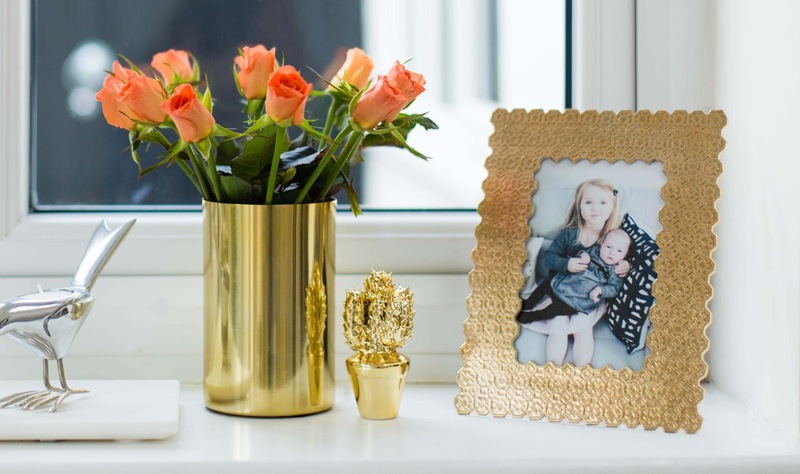 The Brushed Brass Vase is perfect for displaying your favourite flowers or branches. I adore the glamorous look and it instantly gives our living room a bit of industrial chic. My favourite flowers are roses but anything goes with it really. It comes in two sizes, short and tall, and is currently a whopping 75% off the original price so I'm seriously thinking about getting the tall one too. They would make a great statement piece together, don't you think? Cox & Cox have so many beautiful items in their new collection that I have decided to add a few to my current 'lust list'. I've noticed my decorating style is constantly evolving and at the moment I prefer a design that doesn't force you to stick to a bunch of rules. Here are some swoonworthy items that I think would look great in our home. I hope you like them too! Seriously how amazing are these mirrors? From the minute I saw them, I was in love. 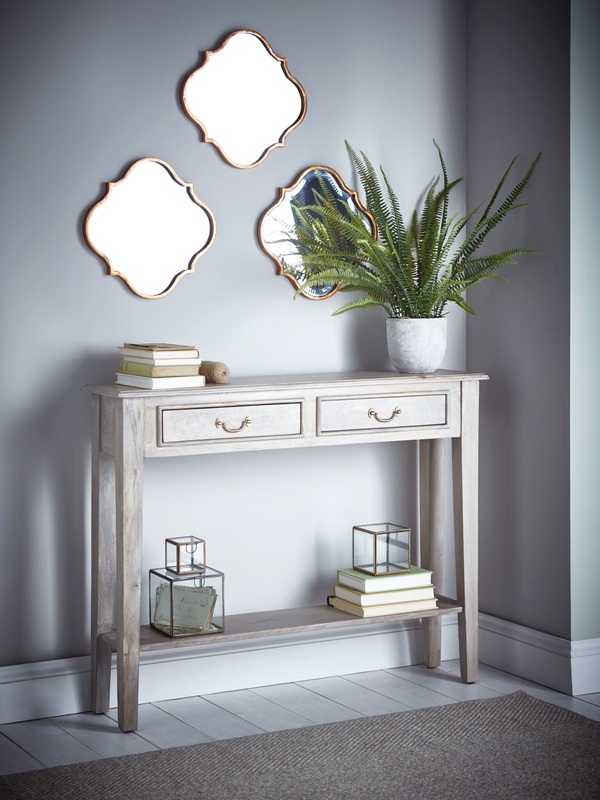 The Kasbah mirror is incredibly stylish and would look great in a modern or traditional home. I adore the Moroccan style and these would be perfect for a bedroom or a hall. You could buy two and place each mirror above your bedside table for a chic, sophisticated effect. Or, you could create a beautiful statement wall in your living room. What I love about individual mirrors is that you can get as creative as you like! The truth is I don't exactly have room for this hanging chair right now but I would consider getting rid of one of my old chairs in our TV room for it. It's the perfect addition if you are going for that 'Hygge' look (Danish concept of living cosily)! 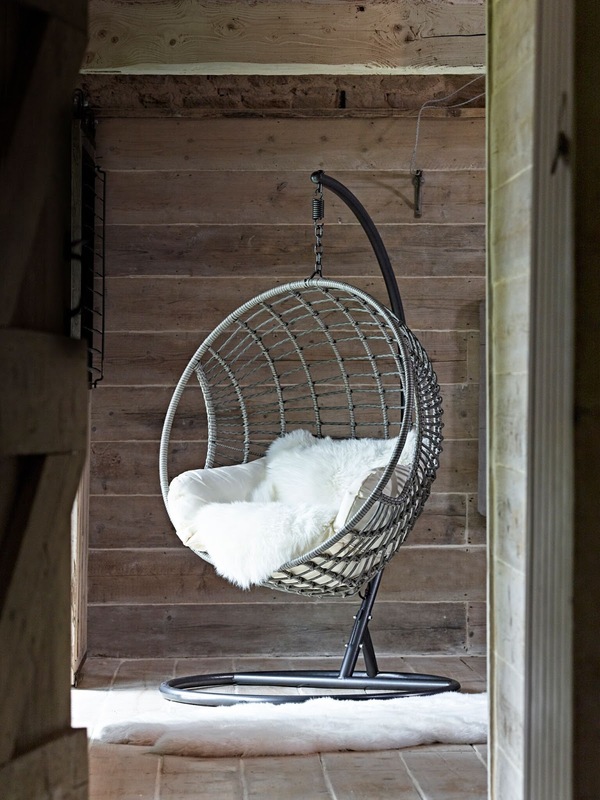 You can also use this chair outdoors so it's incredibly versatile. Never underestimate the power of a nicely decorated powder room. I adore the grey towels and the blush toilet accessories. 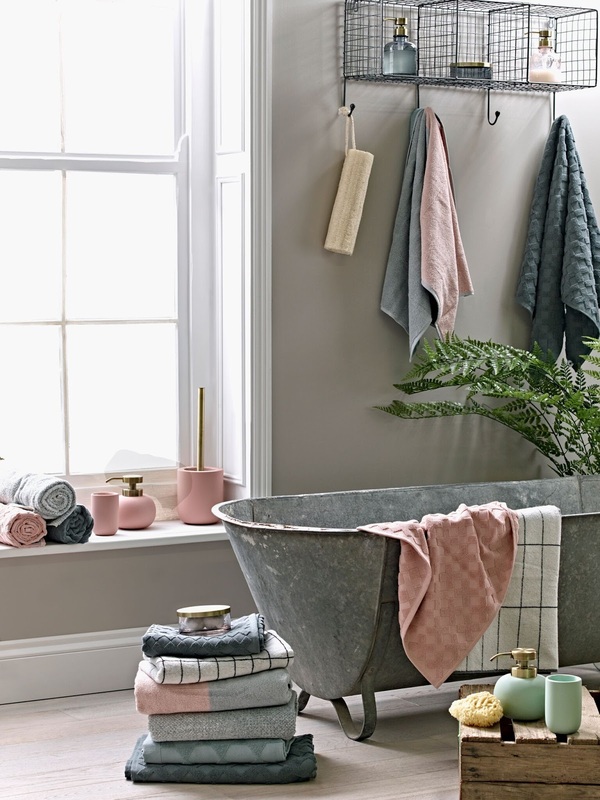 If you have a neutral bathroom, add a pop of colour with some pretty towels or a soap dispenser. I never thought I'd say this but pink it starting to grow on me. I don't know if it's because I'm a mother of two girls but it's a seriously hot colour in our house right now. I almost feel bad for my husband but if you add it in small doses, chances are your other half won't even notice! 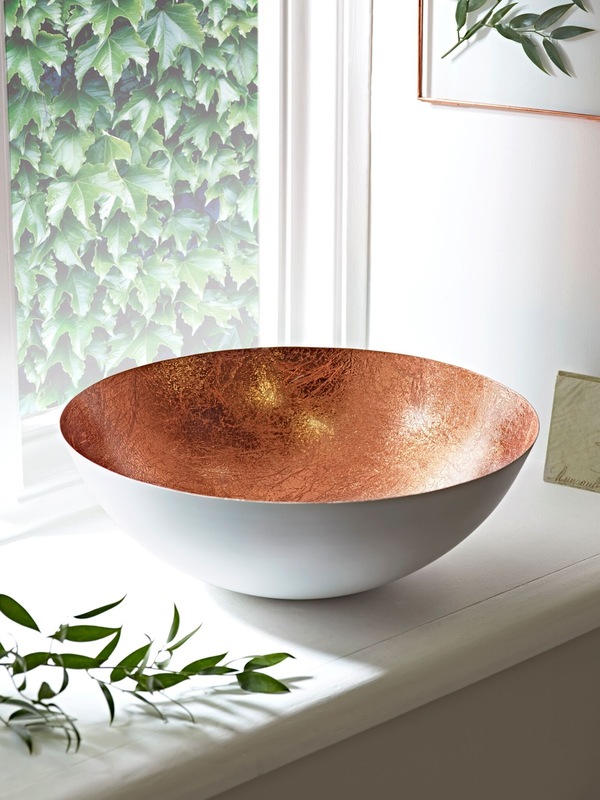 The White Copper Bowl will look stunning in the kitchen or in the dinner table. It's perfect for fruit or you could use it on its own as a statement piece. It also perfectly complements the White Copper Pendant Lightshade. So if you're thinking about doing a kitchen reno, consider matching your accessories with the lighting. You'd be surprised the difference it will make! Did you see anything you liked? If you are new to Cox & Cox you'd be pleased to hear that they have an introductory offer to give you 20% off your first order. Simply use 'INTRO61022' to get the discount. * This post was in partnership with Cox & Cox.